Once the summer ended, and even though I was stuck indoors more often than not, I didn’t have much inspiration to create. That is, until October rolled around and I started generating ideas for jack o’lanterns! I wanted to do some repeats of ideas I’d enjoyed making previous years, like the cat on a branch and Jack Skellington, but I also had some fun new ideas I wanted to try, like a mandala. And even though I still had two more that I’d been waiting to carve, because they were more intricate, I made a last-minute addition. Roman Reigns, a WWE wrestler, announced he’s taking a leave of absence as he battles leukemia. It broke my heart to hear the news, so I went and bought a 6th pumpkin (the other 4 had already been designed out weeks earlier), and created one in his honor. Finally, the complicated, way more detailed ideas, like doing The Phenomenal One, AJ Styles’ logo. (He’s my favorite WWE wrestler. I even dressed as him for Halloween last year.) And attempting to do Stitch from Lilo and Stitch. These two required a bit more technique than the others, but I was excited to see what I was capable of. I started with AJ’s logo, scraping the logo away in relief rather than carving straight through the pumpkin. (Though I did carve out the stars). Once I was done, I scraped away the inside of the pumpkin to make the walls thin enough for the light to shine through. Hope you all enjoyed your Halloweens as well. 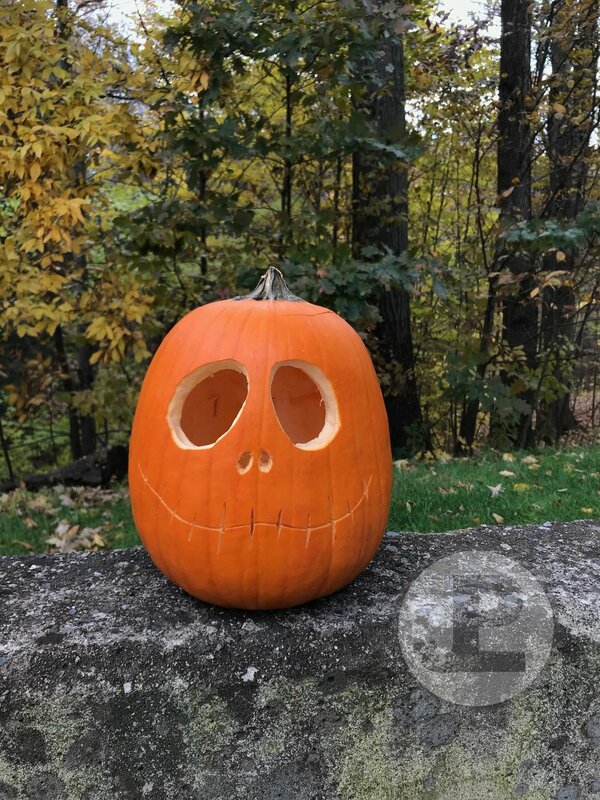 If you carved any pumpkins, I’d love to see them! In the meantime, enjoy this picture of a girl who enjoys smushing her hands into pumpkin guts as much as I do. 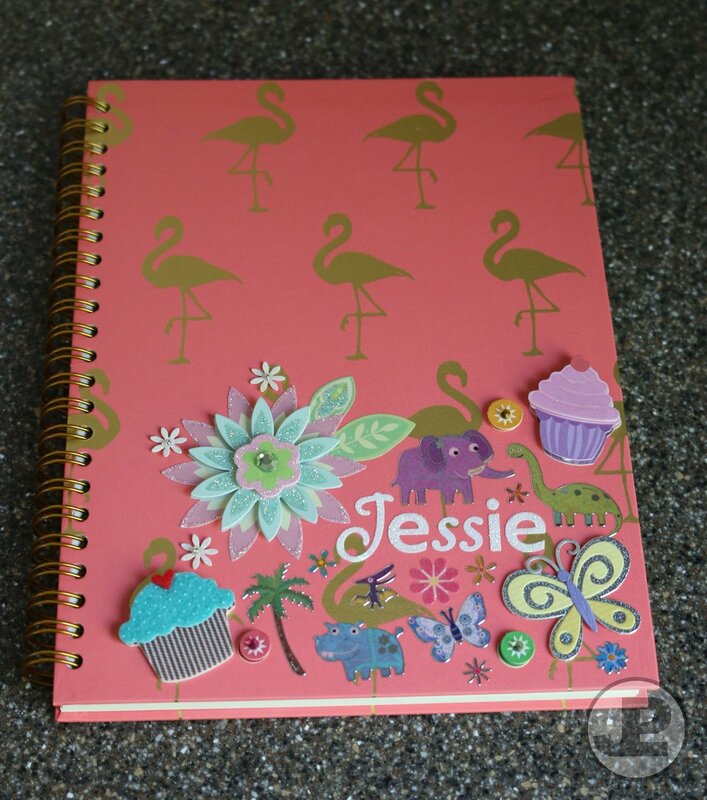 Hi there, and thanks for checking out Jessie Makes Stuff! Lots of exciting changes are going on here at the Jessie Makes Stuff website, like my online shop coming soon!, and I thought this blog would be another welcome forum where I intend to post regularly about projects I'm working on, how-to's on previous things I've made, profiles on inspirational artists I enjoy, and possibly some product recommendations for things I've enjoyed using. So thank you for joining me on this journey, and I hope we have the chance to grow together and make some fun stuff! There are no rules, just decorate with some of your favorite things (maybe dinosaurs, flowers, or cupcakes), but I do recommend adding some 3D embellishments for some depth. I haven't tried this with any textured notebooks, like Moleskine, so you'd have to do your own test and see if the stickers stay. Fun fact, these pictures were taken 4 years ago, and I've noticed that only one of the stickers has fallen off! Let me know if you try this, and please follow and tag @JessieMakesStuff on Instagram if you post your creations. I'd love to see them!